Multiple Teams · Dec 18 Baseball Tryouts are Set! Multiple Teams · Dec 4 Interested in Baseball? Meeting on Wednesday! Multiple Teams · Nov 9 Baseball Fundraiser – SEE’S CANDIES! 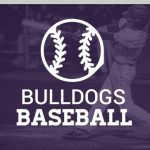 Multiple Teams · Nov 6 2017 First Annual Bulldogs Intrasquad World Series! Multiple Teams · Aug 8 Fall Baseball FUTURE’S League! Want to play in the Ryan Lemmon Fall Baseball FUTURE’S League? Contact the Coach for details as soon as possible at PortolaBaseball@gmail.com 10 game schedule starting in September. Games are only on Saturdays. Multiple Teams · Jul 21 Reminder: Baseball Tryouts are Tomorrow!